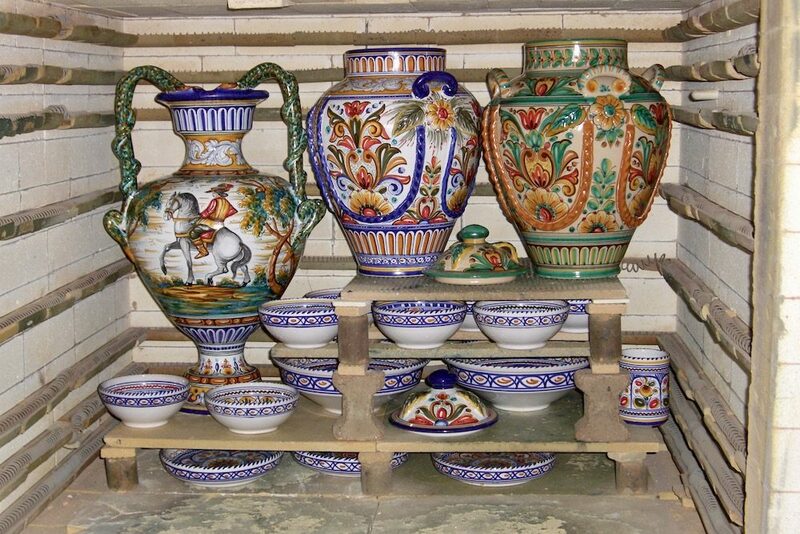 The De La Cal family is now the fifth generation dedicated to crafting fine quality ceramics. 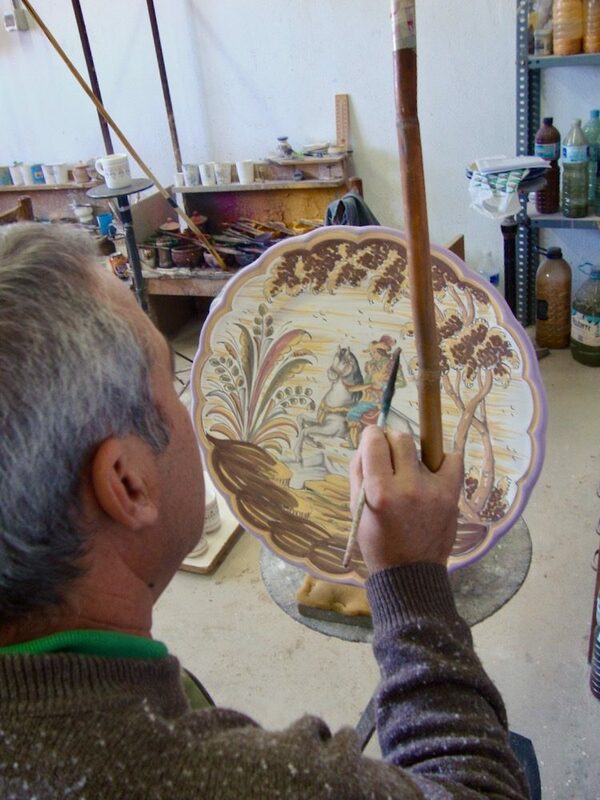 Their ceramic workshop is located in Puente del Arzobispo, a small town in the Province of Toledo, Spain. The De la Cal family uses natural clay from the banks of the Tajo river, which conveniently runs alongside their village. 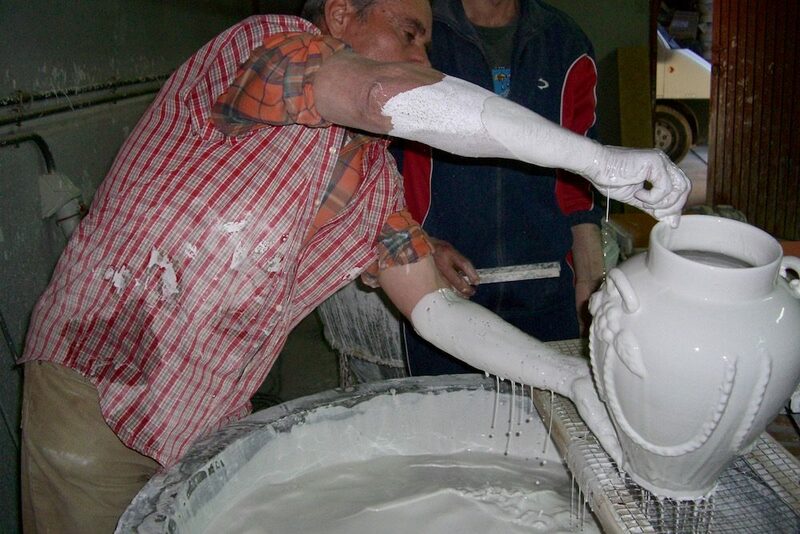 The clay is cleaned of all impurities and then mixed with water for the perfect consistency. 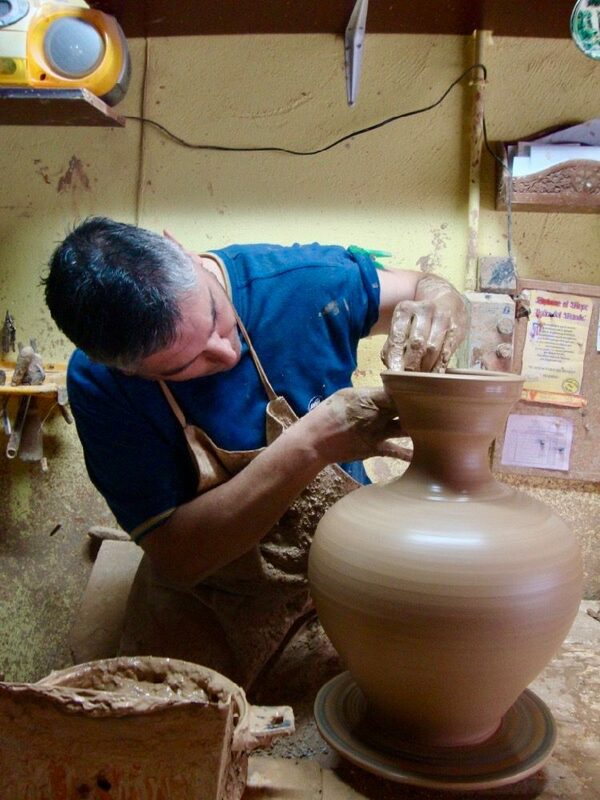 Juan Diego is the designated sculptor and is a master at the potter´s wheel. He carefully shapes each ceramic piece and allows it to slowly dry in the Spanish sun before placing it into the oven at 1100 degrees celsius. 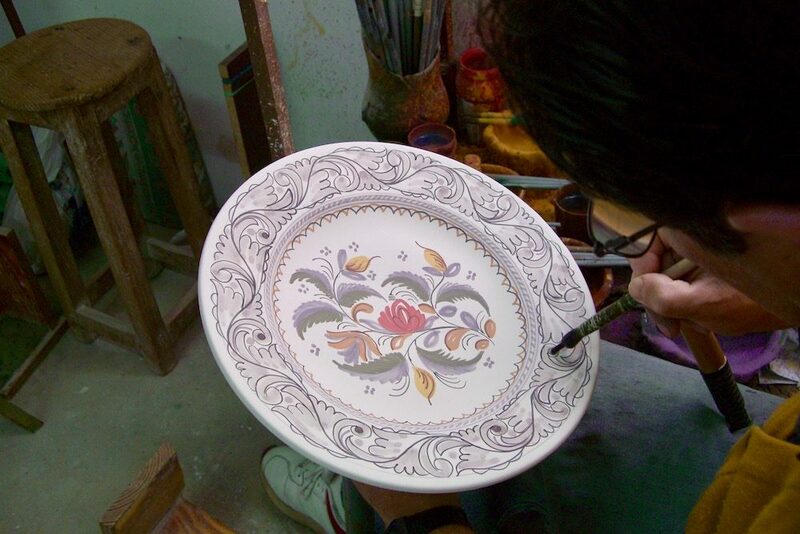 Afterwards, the ceramic is passed through a paint bath producing a glazed background perfect for painting on. 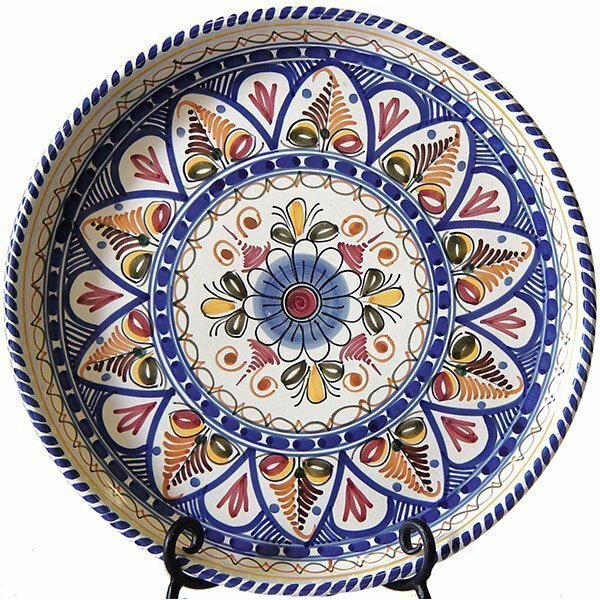 Ana Belen de la Cal and approximately four other artisans then individually hand paint each ceramic piece before it is baked for the last time. No two pieces will be exactly the same due to their handmade nature, yet all are hand signed by the individual artist who painted it. 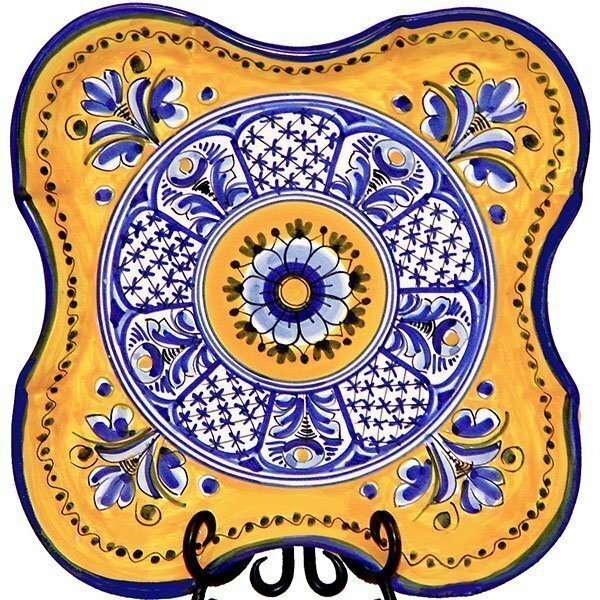 The De la Cal family is recognized throughout Spain and has won several international awards for their ceramic mastery.